Japan’s strategy for delivering aid to Palestine is shifting — and, as Devex has learned, it illustrates the country’s growing role as a “middleman” in conflict-ridden areas. The Japan International Cooperation Agency is increasingly tapping regional allies to deliver aid to hotspots outside Asia, shifting from its previous conservative strategy on aid to marshal regional integration and stability. 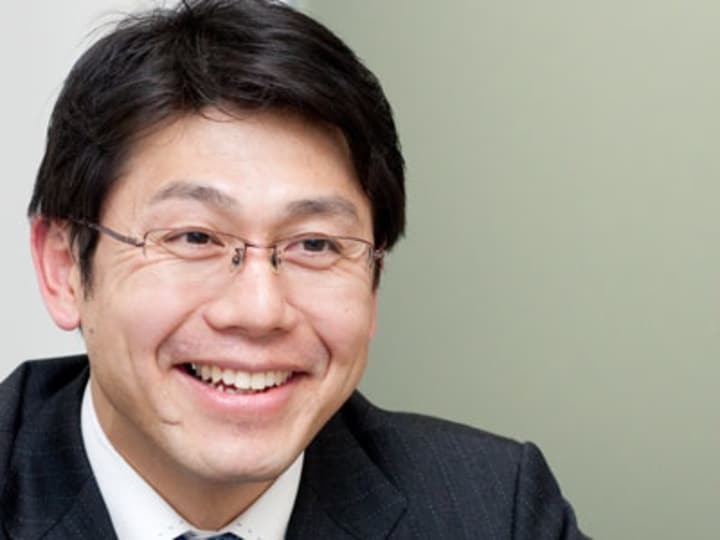 Case in point: Japan has been engaging its neighbors in East Asia to help promote nation-building efforts in Palestine through “triangular cooperation,” JICA’s Middle East and Europe Department division director Kotaro Tanaka told Devex in an exclusive interview. Although the agency’s funding for triangular cooperation remains slim at $1 million, compared to its $50 million in bilateral aid, it spells a significant shift for a country that has traditionally focused more on soft loans for relatively stable East Asian countries. In recent years, Japan has begun to oversee more complex and politically sensitive aid missions in fragile states and faraway territories like Palestine. “It’s more politically-driven, or international relationship-driven,” said Tanaka, adding that while economic opportunities in Palestine are low compared to those in neighboring Iraq or Saudi Arabia, assisting Palestinians through triangular cooperation has a big payoff for global peace and regional linkages. This cooperation, catalyzed by an agreement that Japan and the Palestinian Authority etched in 2010, will fall under the blanket of the Cooperation among East Asian Countries for Palestinian Development. In Palestine, Japan has so far joined forces with Malaysia, Indonesia and Singapore. Two of these countries have already done work on the ground, with Japan acting as a “middleman” for Malaysia and Indonesia in their talks with the Palestinian and Israeli authorities. “Indonesia and Malaysia do not have a bilateral agreement with Palestine, or diplomatic relations with the Israeli government, which makes it difficult for them to identify the needs and resources of Palestinians,” Tanaka said. This is where Japan and its connections with both the Palestinian Authority and Israel come in, the JICA official noted. “Without our involvement with Malaysia and Indonesia, they cannot enter that area, so it’s going to be difficult for them even though they are willing to help Palestine,” he added. These countries have also leveraged on Japan’s experience in working in Palestine as a donor. With its support, Malaysia has rolled out training and technical assistance for Palestinian authorities in five priority areas, including governance, finance, agriculture, SME and private sector development. Indonesia, for its part, targets health, private sector development and agriculture. Triangular cooperation not only bolsters cooperation among East Asian countries, said Tanaka, but it also increases value-for-money and allows a country like Japan to circumvent cultural barriers and retain an air of political neutrality. Training for Palestinian authorities held in other East Asian countries generally costs less than in Japan, Tanaka said; trainings involving countries with similar language and cultural, political and administrative backgrounds tend to be more effective. The JICA official also sees a political advantage in eliciting the help of other countries in the region. Palestine is but one stop for Japan in its drive to form alliances with other donor nations around the world. On top of its work with East Asian partners, it has also engaged other countries in the Middle East in its Palestinian aid efforts. This is embodied in two landmark projects — the Corridor for Peace and Prosperity and the Jericho Agro-Industrial Park —JICA is implementing with Palestinian leaders, Jordan and other neighboring Arab states as partners. The success of JICA’s involvement in Palestine may determine how muscular an approach the agency will pursue in other crisis spots around the world. Johanna Morden is a community development worker by training and a global development journalist by profession. As a Devex staff writer based in Manila, she covers the Asian Development Bank as well as Asia-Pacific's aid community at large. Johanna has written for a variety of international publications, covering social issues, disasters, government, ICT, business and the law.